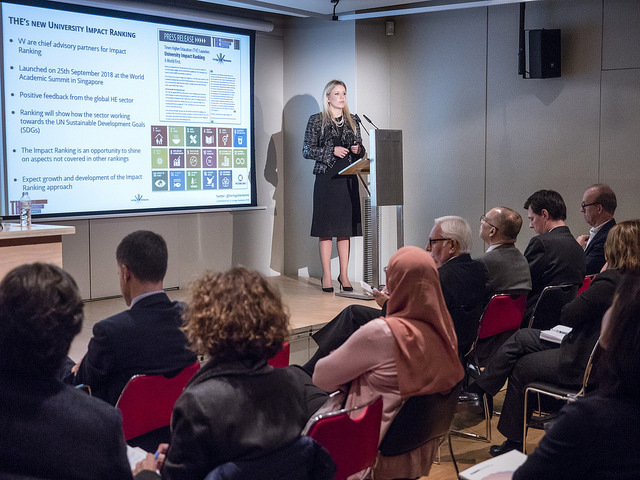 · The discussion focused on the importance of Higher Education Partnerships for SDGs as well as the presentation of the publication “Approaches to SDG17: Partnerships for the Sustainable Development Goals”. 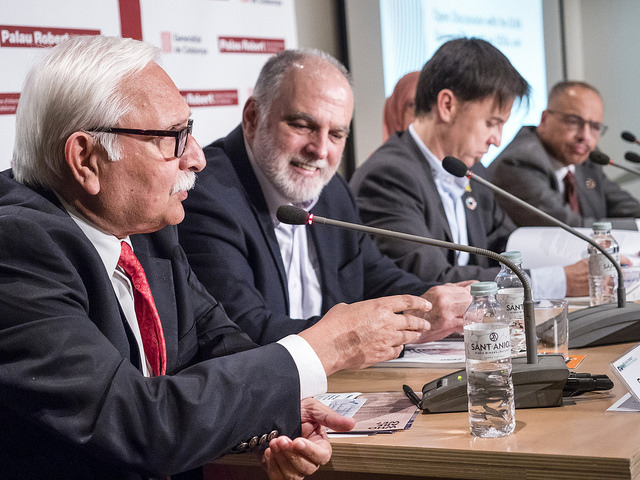 · The Group will publish a new report on SDGs and Higher Education in 2019. 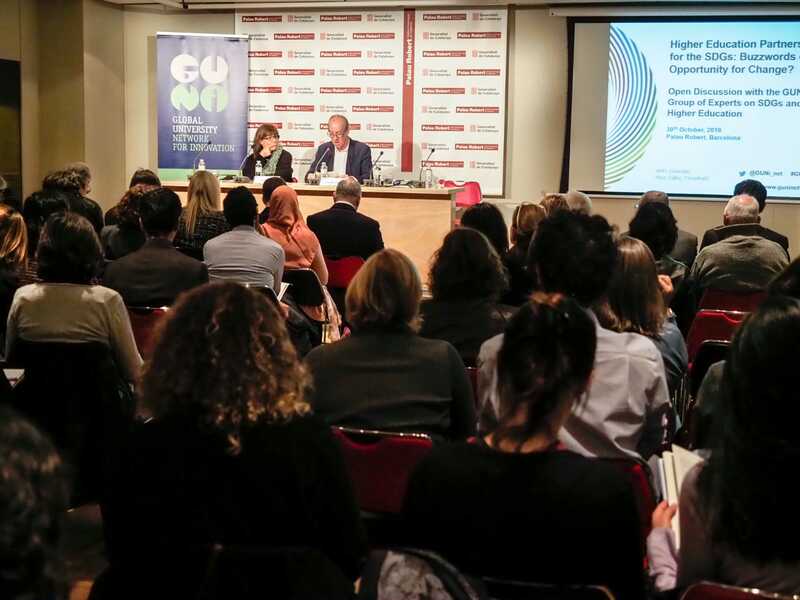 After a successful first edition of the “GUNi International Conference on SDGs: Actors and Implementation”, the 2nd GUNi International Conference on SDGs will be celebrated in late 2019 / early 2020. 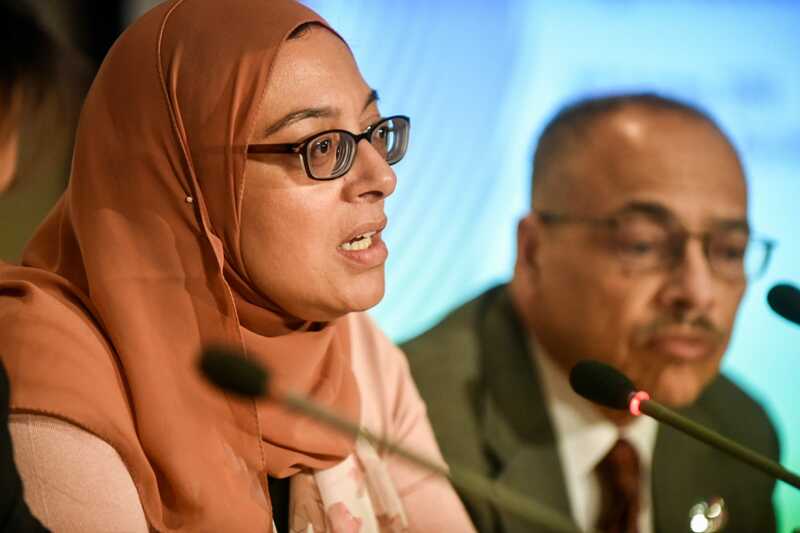 The 2030 Agenda requires effective collaborations between all stakeholders in order to achieve the seventeen Sustainable Development Goals (SDGs). 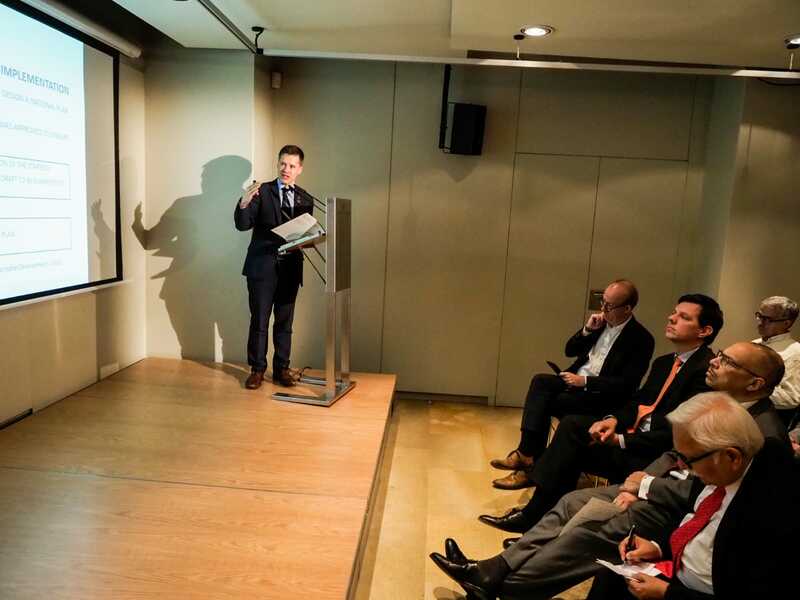 Only through close collaboration, can there be any possibility of finding global solutions to the world’s current and future challenges. 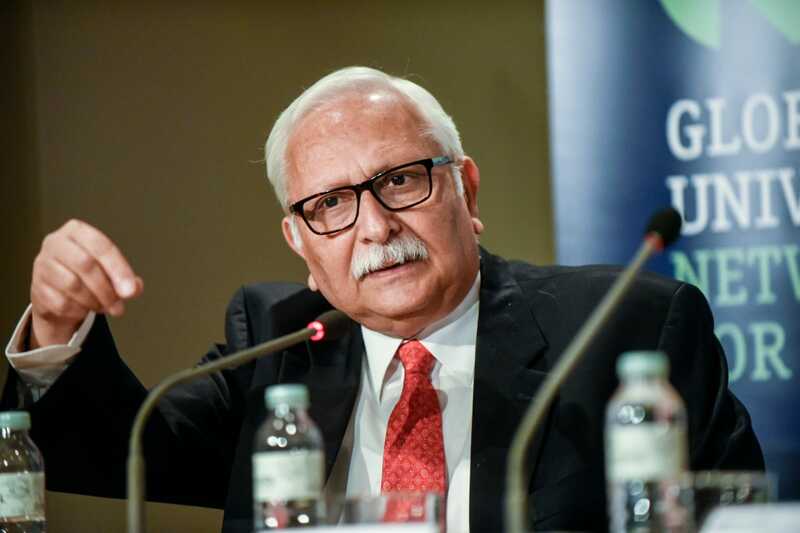 Partnerships are included in the five dimensions of the 2030 Agenda, the so-called “5 P’s”: People, Planet, Prosperity, Peace and Partnerships. 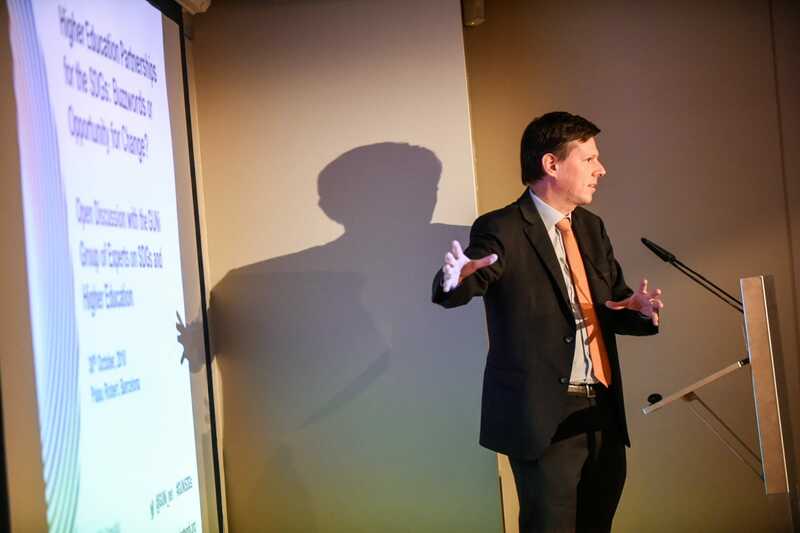 Partnerships englobe the whole Agenda and are called upon as the essential tool for its advancement and accomplishment. 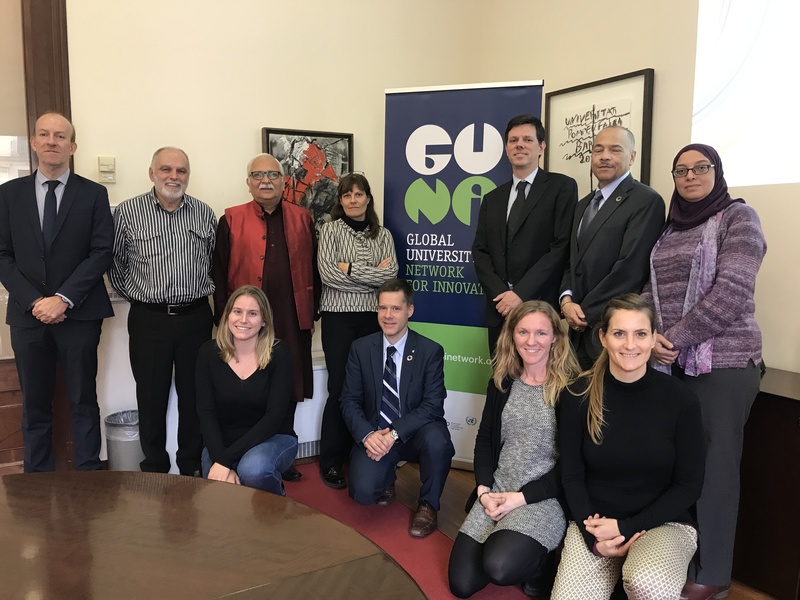 These and other issues were discussed during the first meeting of the GUNi Group of Experts on SDGs and Higher Education, launched by GUNi within its strategic line of action around Sustainable Development Goals (SDGs). 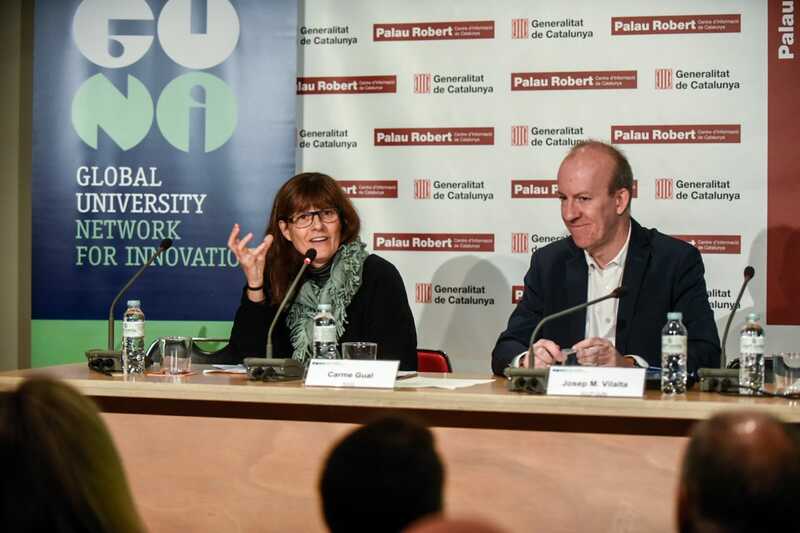 Representatives of sustainability and development cooperation units of several Catalan public universities attended the second part of the meeting, held at the Rectorate of the Universitat Pompeu Fabra. 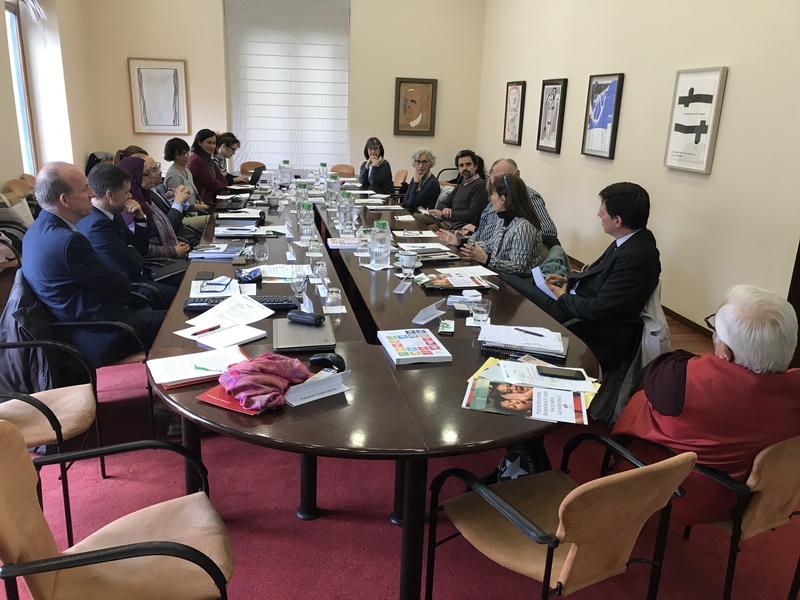 The discussion was centred in engaging universities (academic staff, students and professors) with the Agenda 2030 and the SDGs in teaching and research. 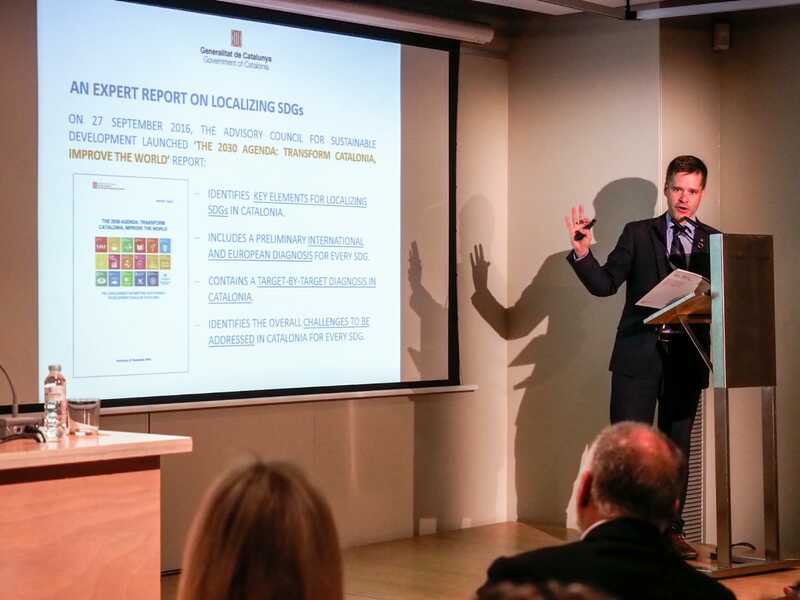 On the 30th of October 2018, the Group of Experts presented its first publication devoted to the SDG 17 “Partnerships for the Goals”, available in open-content here, in a public event at Palau Robert in Barcelona. 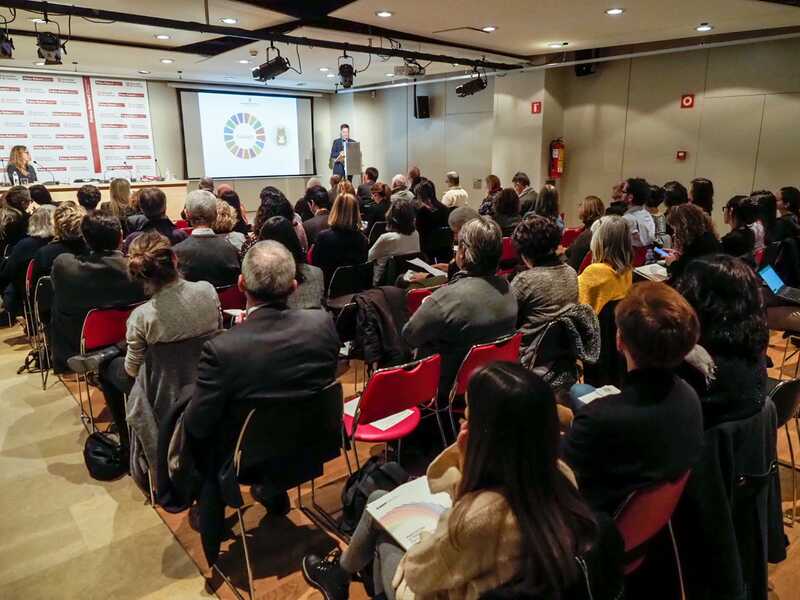 Over 80 people attended the event, which intended to offer a first approach to Sustainable Development Goal 17 “Partnerships for the Goals” and included the perspectives and views of different networks, organizations, geographical regions and working cultures on what “partnership” means, and how work should be done to implement SDG 17. 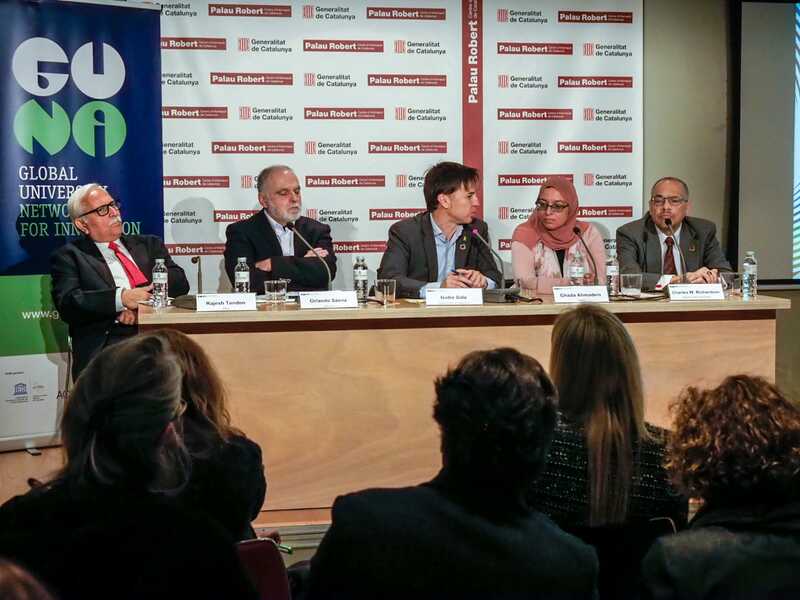 Take a look at the photo album of the event and download all the presentations of the speakers below on this webpage. 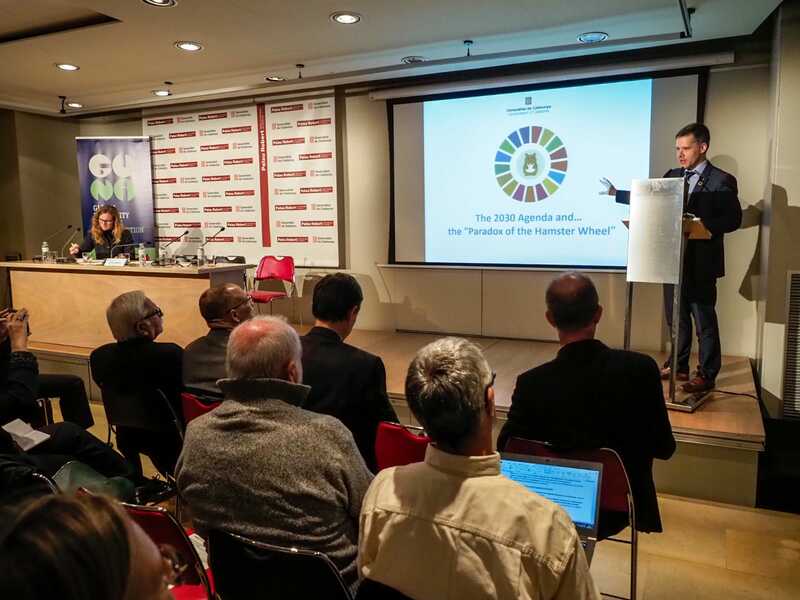 The GUNi Group of Experts on SDGs and Higher Education is composted by representatives of some of the major networks working on sustainable development and higher education and is intended to be a space of debate, collaboration and sharing of expertise from different regions of the world, cultures and perspectives in order to advance the 2030 Agenda. 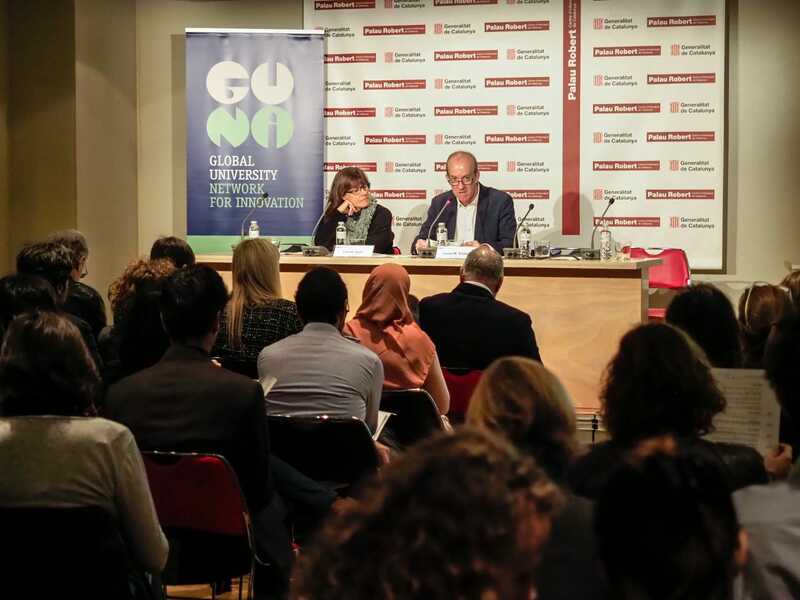 Get to know more about the GUNi Group of Experts on SDGs and Higher Education here.